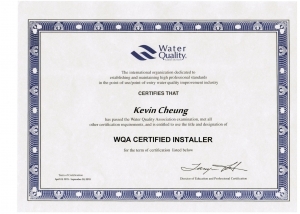 Corporate Developments | Aqua Technologies Inc. | Air and Water Purification Aqua Technologies Inc.
Kevin Cheung has passed the WQA specialty examination and has been designated a Certified Installer, CI. We are granted to be the Primary/Exclusive Sales and Service of 3M RO-5500 Reverse Osmosis System and replacement filters for the Greater Toronto, Canada. 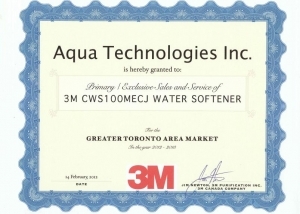 We are granted to be the Primary/Exclusive Sales and Service of 3M CWS100MECJ water softener for the Greater Toronto, Canada. 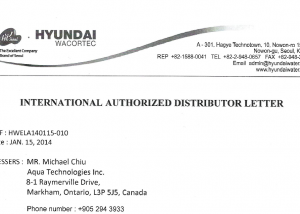 We are appointed by Hyundai Wacor Tec Co., Ltd. to be their Exclusive/Authorized Distributor of Hyundai’s Water Softener, WS-4000 in Canada. 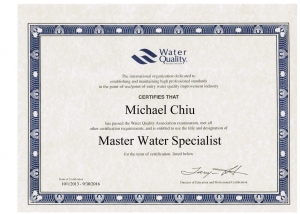 We are proud to annouce that Michael Chiu, president of our company, has been designated a Master Water Specialist. 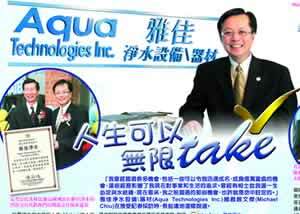 We are pleased to launch the second edition of our magazine through Ming Pao Newspaper. 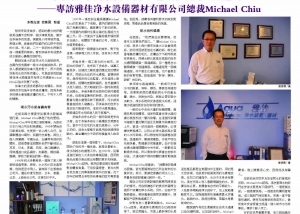 North America Weekly Times has published an interview with Michael Chiu, president of our company. 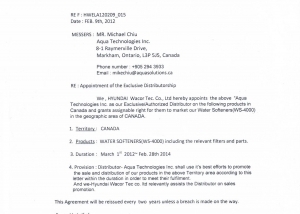 We are appointed by Hyundai Wacor Tec Co., Ltd. to be their Exclusive/Authorized Distributor of Hyundai's Water Softener, WS-4000 in Canada for a period of two years starting from March 1st, 2012. 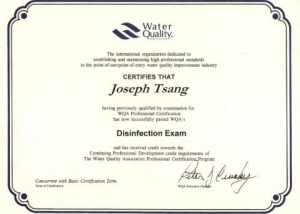 We are pleased to announce that Joseph Tsang has passed the WQA's Ozonation and the Disinfection Exams and qualified as a Certified Water Specialist-VI. Congratulations to Joseph! 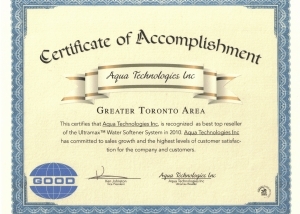 We are recognized as best top reseller of the Ultramax Water Softener in 2010 and has committed to sales growth and the highest levels of customer satisfaction for the company and customers in Greater Toronto, Canada. 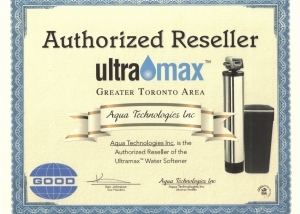 We are the Authorized Reseller of the Ultramax Water Softener in Greater Toronto, Canada. 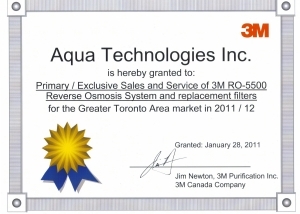 We are granted to be the Primary/Exclusive Sales and Service of 3M RO-5500 Reverse Osmosis System and replacement filters for the Greater Toronto, Canada in 2011/12. 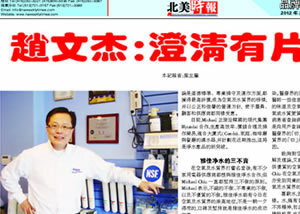 Norstar Times Toronto has published an interview with Michael Chiu, president of our company. 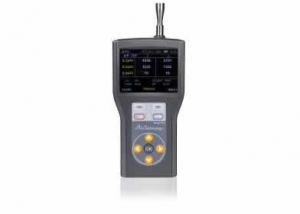 We are the sole distributor to sell Airy Technology Handheld Laser Particle Counter MODEL P311. We are an authorized distributor of 3M®, Cuno® and AquaPure® Water Treatment Products. AquaPure® brand offers a complete line of water filtration and water treatment products to provide you and your family with clean, safe, great tasting water. AquaPure is the choice of quality conscious plumbing professionals, builders, and specifiers around the world. 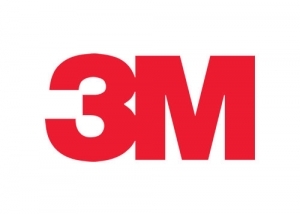 The manufacturer, 3M Purification Inc is formerly known as CUNO Incorporated. 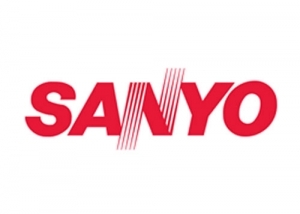 We are the exclusive dealer for SANYO's new portable Virus Washer. This air purifier uses electrolyzed water technology to treat the air to suppress airborne pathogens such as bacteria and germs, to reduce the amount of airborne pollen and allergy-causing dust, and to eliminate unpleasant odors in the home. 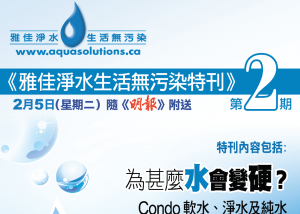 Once again, we are honored to be awarded with the 2008 - 2009 Consumer Award for being "The Most Trusted Water and Air Purification Specialty Store". 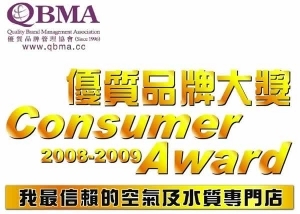 Consumer Award is organized by the QBMA (Quality Brand Management Association), voted by the general public and verified by Chartered Accountant. QBMA is dedicated to informing consumers of companies who offer trustworthy brands and to promote the development of quality branding amongst corporations. 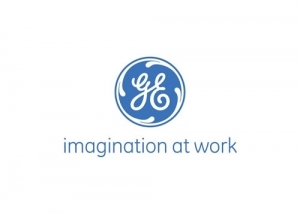 We are now the exclusive distributor of the GE Pro Elite™ Systems for the Greater Toronto Area in Canada. 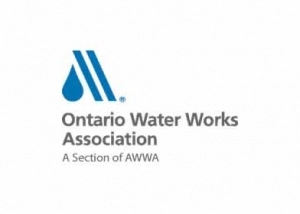 We are a member of the Ontario Water Works Association (OWWA). The OWWA is an organization of drinking water professionals dedicated to protecting public health through the delivery of safe, sufficient and sustainable drinking water in Ontario. 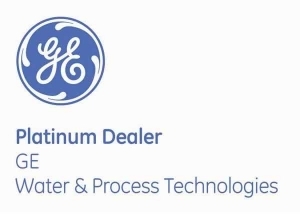 We are proud to become an authorized dealer of GE Pro Elites™ and carry the full line of Professional Series Water Conditioning System and Reverse Osmosis Drinking Water Treatment Systems. 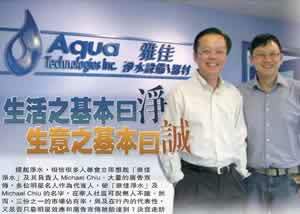 Sing Tao Magazine has published an interview with Michael Chiu, president of our company. Michael Chiu hosts a show, 'Live A Clean Life' with Amy Yeung (江雪), Nora Chan(苗可秀), Winnie Shiu(楊虹) on Fairchild TV - 'Leisure Talk' at 6:40 pm on every Friday starting from June 6, 2008 for 13 weeks. We are honored to be presented with the 2007 - 2008 Consumer Award from QBMA (Quality Brand Management Association). QBMA is dedicated to informing consumers of companies who offer trustworthy brands and to promote the development of quality brands amongst corporations. 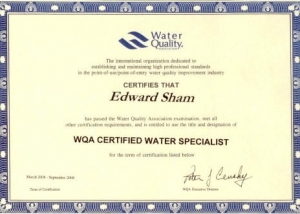 We are proud to announce the training and certification of two more Certified Water Specialists, E. Sham and Joseph Tsang. The latter has just joined our company this past February. 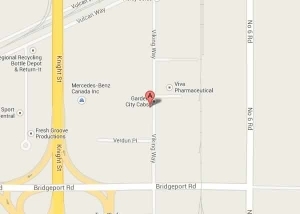 Mr. Tsang is stationed at our new warehouse outlet as our Marketing VP, and is dedicated to expanding our reach into new markets and meeting the needs of both our current and future prospective customers. 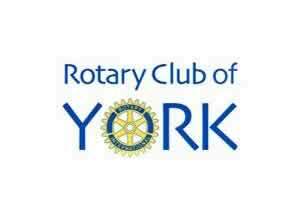 The Rotary Club of York presented us this year's Corporate '4 Way Test' Award. This award is intended to recognize that we are operating our business according to the highest ethical standards and being a role model in our business community with policies and actions promoting truth, fairness, and goodwill, benefiting employees, customers, and suppliers. 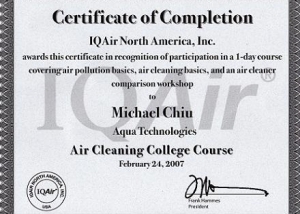 Michael Chiu attended the IQAir Air Cleaning College training course and was awarded a Certificate of Completion. 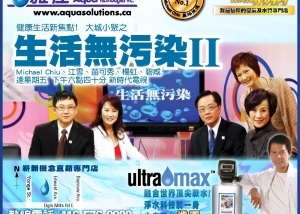 Michael Chiu hosted a show, 'Live A Clean Life' with Dominic Lam (林嘉華) on Fairchild TV at 6:50 pm on every Wednesday starting from January 17, 2007 for 13 weeks. 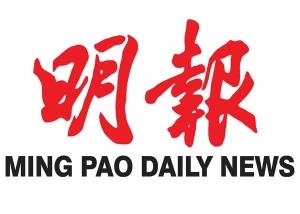 Michael Chiu is a guest columnist for the Ming Pao Daily News, a newspaper with circulation across Canada serving the Chinese-Canadian community, and will write on the topics of water and air filtration. 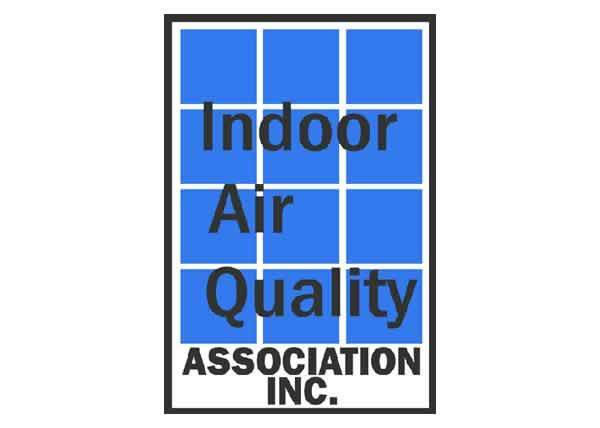 M. Chiu passed the examination and obtained certificate from the Indoor Air Quality Association, Inc. and got the designation and title of CIE (Certified Indoor Environmentalist). 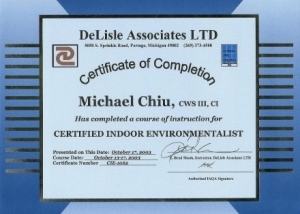 M. Chiu completed the course of instruction for CERTIFIED INDOOR ENVIRONMENTALIST and was awarded a Certificate of Completion. 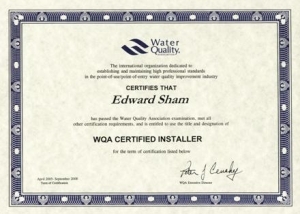 E. Sham has passed the WQA specialty examination and has been designated a Certified Installer, CI. 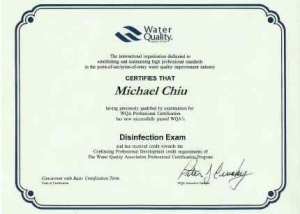 Michael Chiu has passed the WQA specialty exam, "Disinfection" and has been designated a Certified Water Specialist-VI. Michael Chiu, CWS-VI, CI, CIE is the first certified individual in North America to obtain the highest level of recognition for both the water and air treatment industries. 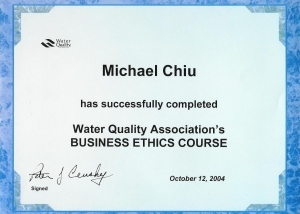 Michael Chiu has completed the Water Quality Association's BUSINESS ETHICS. 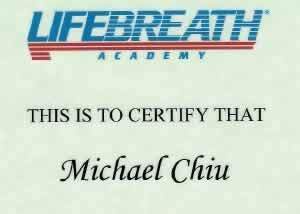 Michael Chiu has been certified by 'Life breath Academy' as a Qualified Member and Authorized Dealer for the Residential HRV (Heat Recovery Ventilator), one of the best Air Exchange systems for families. 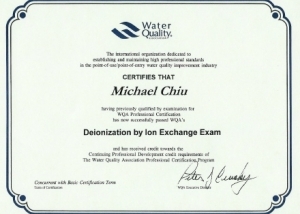 M. Chiu passed the Water Quality Association specialty examinations on both "Ozonation" and "De-ionization", and has been designated a Certified Water Specialist-V.
We are proud to obtain GE Platinum dealership from GE Residential & Commercial Section USA to distribute their line of Residential & Commercial Water Conditioning products. 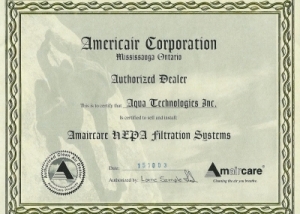 We obtained authorized dealership from Americair Corporation to distribute Amaircare® HEPA Filtration Systems. 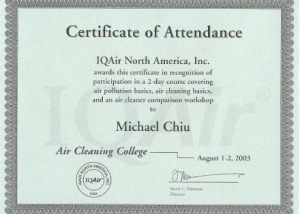 August 2003 M. Chiu attended the IQAir | Air Cleaning College training course and was awarded a Certificate of Attendance. 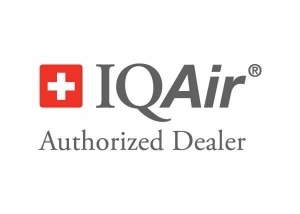 Obtained authorized dealership from IQAir North America, Inc. to distribute IQAir® Advanced Air Cleaning Devices in Toronto and Vancouver. 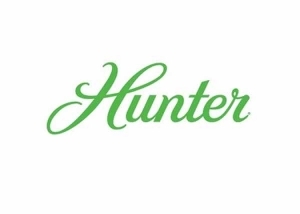 Obtained authorized dealership from Hunter Fan Company Canada to distribute Hunter® Air Purifiers in Toronto and Vancouver. 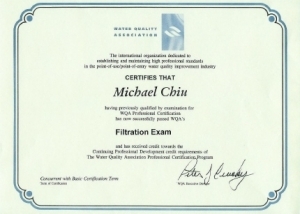 M. Chiu has successfully passed WQA's Filtration Exam and gotten a designation CWS III. 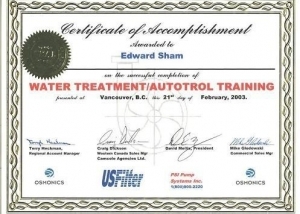 E. Sham attended the Water Treatment/Autotrol training and was awarded a certificate of accomplishment. 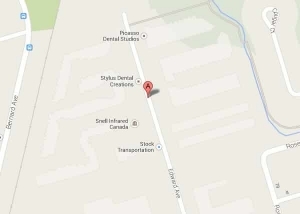 A new showroom has opened at Market Village, Markham, Ontario. 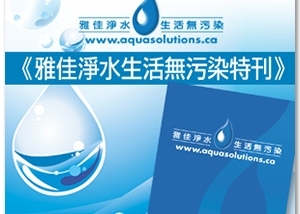 Obtained exclusive dealership from Ionics - a publicly-traded Corporation in the New York Stock Exchange, for their consumer water products in Greater Toronto and surrounding areas. Obtained authorized dealership from USFilter/Petwa for promoting their Central System, Reverse Osmosis and related products.